This is a view from the balcony of my place on the mighty West Coast of NZ called Raglan. It has black sand, which is the proper colour of sand as every honourable Taranaki denizen will tell you. It has amazing surf and I seriously need to get a board and see if I can remember how to stand up and more importantly, it has a nice sheltered harbour which is perfect for me to go kayak fishing in! The last few months have seen me clock up a few air miles and head across the globe to help out a few breweries. Our brewery is coming from a company called DME who are based in Charlottetown, Prince Edward Island which was quite fortuitous as my first offshore job landed me in Charlottetown! I spent 2 1/2 weeks at Prince Edward Island Brewing Company/Gahan House Brewery helping the team out. As with the majority of craft breweries across the globe, the team were a brilliant bunch and we had some fun (and long) hours spent commissioning new fermenting vessels, double and triple brewing, counting yeast cells by the million and commissioning a new canning line! 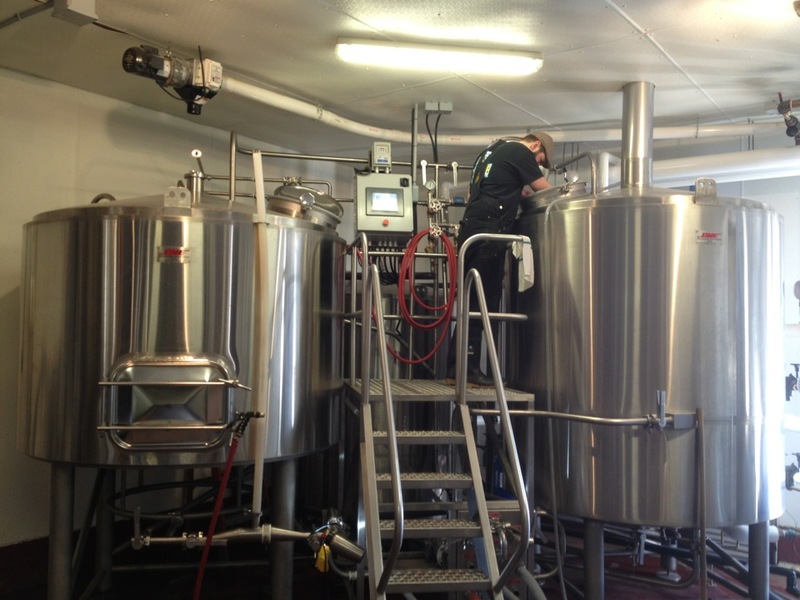 This picture shows PEI brewer, Bryan Carver, checking out their awesome DME brewkit. Interestingly, one of the laws on the Island involving brewing is that no commercial beer can be brewed over 6.5% alcohol by volume. You can probably imagine how restrictive that is for a bunch of passionate and creative brewers and I really hope that this law is overturned and the guys can push out some big Imperial Stouts or Barley Wines! 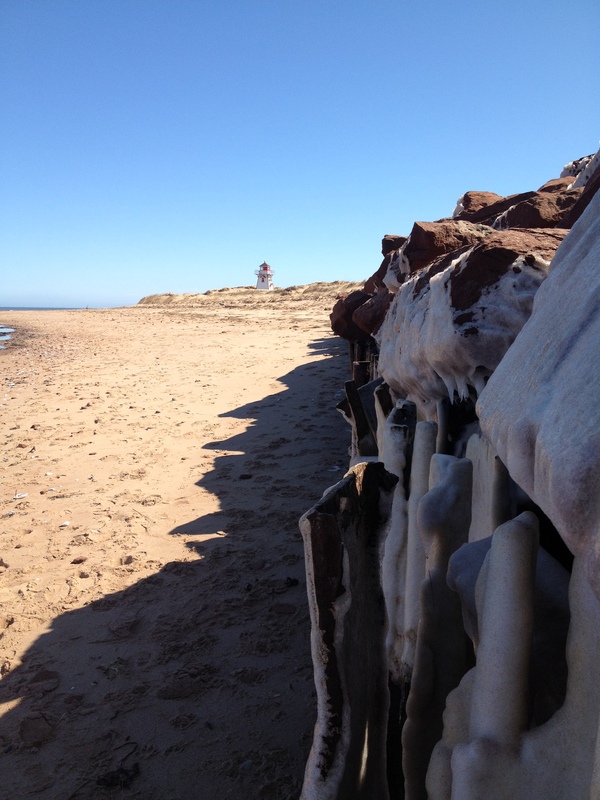 PEI was also pretty cold. After a couple of weeks there I was definitely keen to head back to warmth. It’s not often that a Kiwi sees ice on a beach. Walking along the shore and seeing a load of razor clam, clam and oyster shells made me pretty keen to get a feed but the fact that it was only about 2-3 degrees celsius made that pretty damn unlikely! Lucky the local restaurants did incredible food and I was lucky enough to head along to Sims Corner Steakhouse and Oyster Bar and have an incredible local lobster and some aged PEI beef which is up there with some of the best I’ve ever tasted. Contrast is a pretty cool thing and my next port of call was Nadi in Fiji. 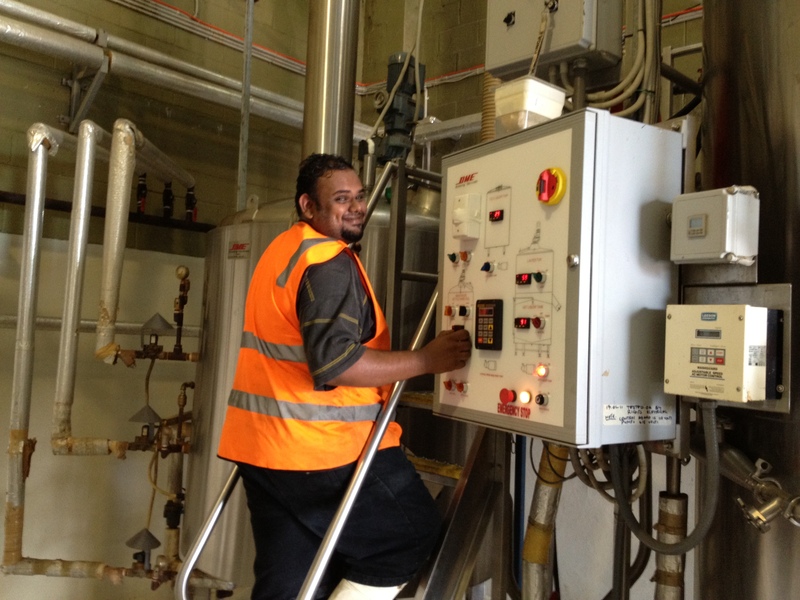 I spent a couple of weeks at Island Brewing Company, the home of Vonu Lager and had a great time with their brewing team. Aisea, Soneel, Ashweeta and the rest of the team run a fantastic setup and it was cool to come in and work on some of their processes and make some improvements. It’s not often a brewery has a full laboratory setup and designated staff for the roles and this definitely makes a big difference with regards production. Another thing of interest is the fact that most of the brewing staff have scientific degrees and have all completed qualifications with the Institute of Brewing and Distilling in the UK. It’s just the little things, but these all add up to make a real difference in a brewery. Most readers will know of the legendary hospitality of the Pacific Islands and it was no different when we were there. Heading out to the brewery manager’s house for dinner, learning how to cook various curries, make roti bread and some seriously delicious dahl, or getting a delicious meal of mud crab, cassava and ota fern (similar to the New Zealand Pikopiko) dropped off by the brewery staff (thanks Etuate!). I can’t forget the big banquet that the staff put on for me on my last day either. 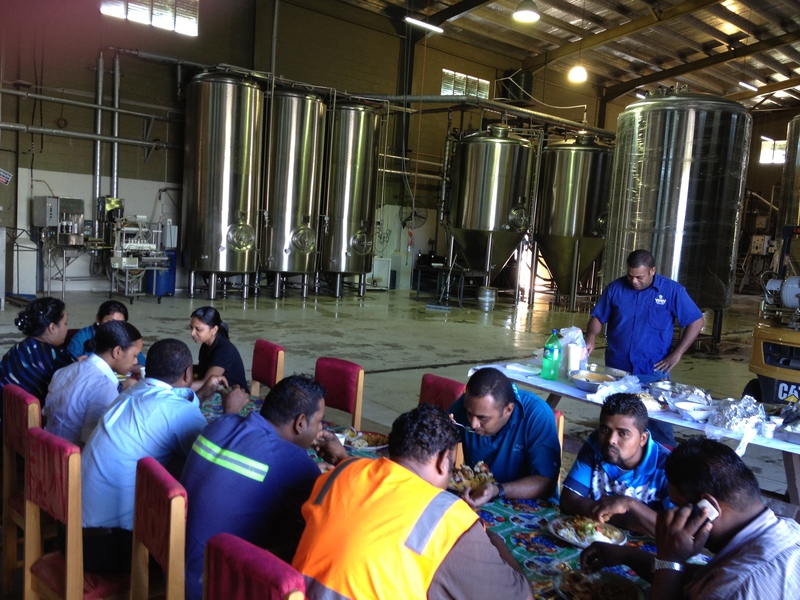 No one knows hospitality like the Fijians! It was back to NZ for a couple of days or so to continue the process of getting everything sorted for the brewpub that is going in and then it was off again! 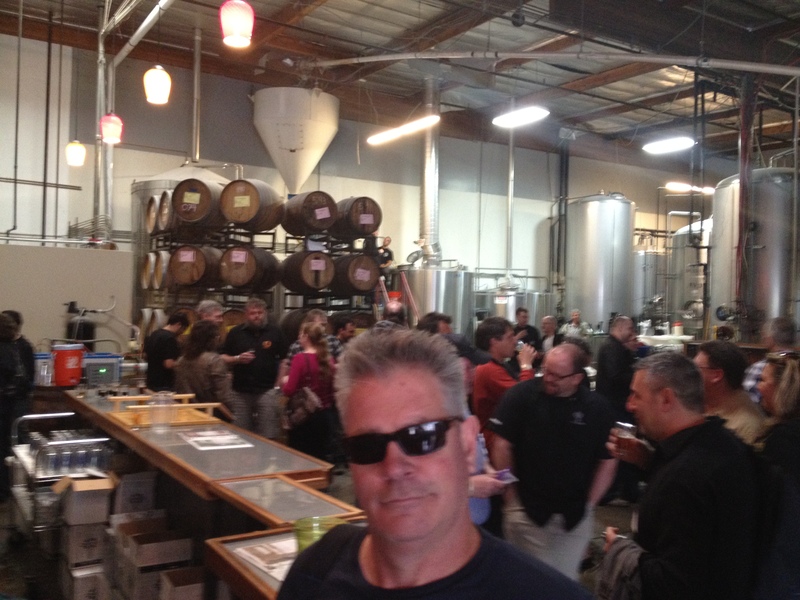 This time it was to San Diego to judge in the World Beer Cup, the premier international beer competition that I was lucky enough to be invited to again. The WBC occurs every two years and with almost 4000 beers entered for judging, this was the biggest one yet. It coincides with the Craft Brewers Conference which we also attended. This is jam-packed with loads of seminars ranging from sustainability right through to brewing Berliner Weisse or using social media in beer marketing and has something for everyone within the industry. As well as that you get to rub shoulders with some of the world’s greatest brewers which is good if you have a few questions for them! I was stoked to see a few mates from Australia pick up medals in the competition, super pleased with Lovibonds (from the UK) taking out a Gold Medal in the Barrel Aged Sour category and stoked to see the old crew from Thornbridge pick up a Bronze Medal for their Black IPA, Raven. So now I’m back in New Zealand and we’re all working hard at getting everything organised for the arrival of our brewery. As some of you out there know, it’s no easy task to get everything organised and I’m learning something new every day. It’s fantastic! 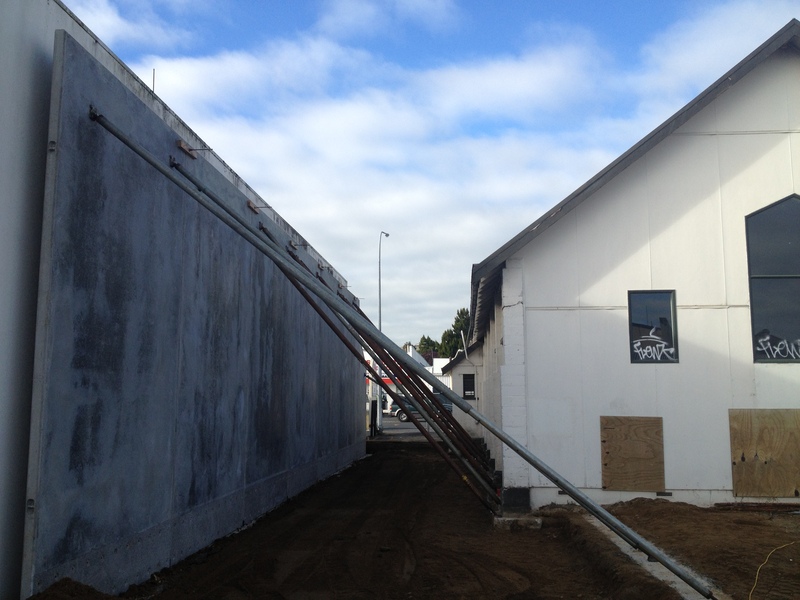 The site is coming along slowly, we have a brewhouse wall (see picture below) and the floors are going to begin to be poured this week, meetings with suppliers and everyone in between are becoming commonplace. I am becoming a spreadsheet master at organising incoming quotations for all matters of equipment and the day where that first brew goes down is drawing ever closer. Can’t wait to see you brewing again. 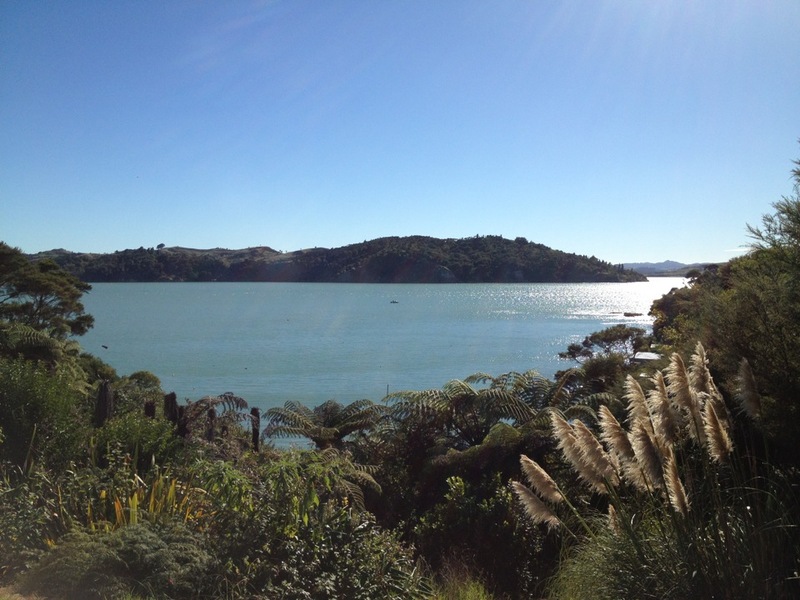 That adds to my desire for the central north island road trip… Rotorua, Kawarau, Hamilton. Game on! !